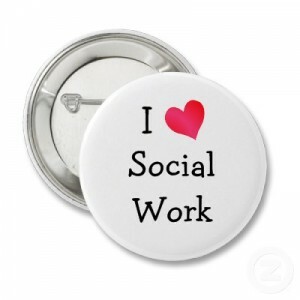 Montana-licensed Social Workers have an annual license renewal deadline of December 31st. To renew a license, twenty (20) board approved continuing education hours are required. Twenty (20) hours of continuing education are allowed from home study (online courses). The board accepts ASWB approval of continuing education courses. The main objective of continuing education credits is to ensure the highest possible standards for the social work profession. All licensees are required to participate in continuing educational opportunities that will build upon existing competence and skill gained from previous educational experiences. Montana social workers are required as a condition of renewing a license to complete a minimum of twenty (20) hours of continuing educational activities annually. Psychologists licensed in Washington DC are required to renew their licenses biennially on December 31st of odd-numbered years. 30 hours of continuing education (CE) are required to renew. 3 hours must be on ethics and 3 hours must pertain to cultural competence. 15 hours are allowed from APA-approved online or home study courses. An applicant for renewal of a license shall submit proof of having completed thirty (30) hours of approved continuing education credit during the two-year (2) period preceding the date the license expires. A copy of the continuing education completion verification document that includes the sponsor’s signature and seal. The Board may, in its discretion, approve continuing education programs and activities that contribute to the growth of an applicant in professional competence in the practice of psychology and which meet the other requirements of this section. An undergraduate or graduate course given at an accredited college or university provided that the undergraduate course shall be acceptable only if the Board determines that the course is required or needed by the licensee as an introductory component of a professional development plan for the purpose of entering an area of psychology for which the licensee is currently not qualified to practice independently. Be submitted by the program sponsor to the Board for review no less than sixty (60) days prior to the date of the presentation and be approved by the Board before the program or activity starts. The evaluation results of comparable programs or activities previously conducted. An applicant shall have the burden of verifying whether a program is approved by the Board pursuant to this section prior to attending the program. Having developed an online or home study continuing education course. A licensee shall receive no more than fifteen (15) continuing education credits for completing any combination of online and home study courses.